Are traditional leaders in rural areas (village heads, chiefs, councilors, VIDCO) doing enough to protect the environment? If so, what are they doing right? If not, what can be done to encourage them to do more for the environment? The MEWC works well with traditional leaders who are the custodians of the natural resources in the areas under their jurisdiction in terms of the Traditional Leaders Act. They uphold norms and values that are consistent with natural resources management and there are graduated sanctions that are imposed to environmental offenders. Cultural beliefs and values have for many years been used to protect forests, water resources and have prevented veld fires. Furthermore, the traditional leaders use their traditional courts to try offenders. The need to enhance participatory approach in planning is very important to enhance community ownership. What channels are there in place for environmental issues reported at district level to reach the Honourable Ministers desk? How does your office prioritise the different environmental issues? The MEWC is represented by its parastatals at lower levels which have clear cut mandates specified in the various Acts. Issues that require ministerial intervention are thus taken up by these parastatals and as a Ministry we value stakeholder participation and have a listening ear to all stakeholders and we are ready to respond. Every environmental issue is addressed separately but issues that involve loss of life or threat to life are given urgent attention. How are the new Sustainable Development Goals related to environment, water and climate being implemented into national policy? How does the Ministry intend to monitor that these goals are met? Goal 13 “Take urgent action to combat climate change and its impacts” of the Sustainable Development Goals is in line with the Ministry’s mandate to combat climate change. The SDGs build on input from all sectors of society and all parts of the world. The SDGs aspire to end poverty and to create economic, social and environmental global sustainability. Hence through conforming to the SDGs together with the Sendai Framework and the recently endorsed Paris Agreement, Zimbabwe will go a long way in solving environmental challenges that the country is facing, chief among them being climate change. Through promotion of alternative livelihoods through adaptation across agriculture and forestry sectors we fulfil SDG goal 17 of enhancing livelihoods. What is your opinion on the work civil society is doing in relation to environment, water and climate? Are they making a difference to Zimbabwe’s environment? How can civil society and the Ministry work better together going forward? Yes, civil society are doing a great job in complimenting Government efforts in terms of implementing of environmental, water and climate related programmes especially at grassroots level. Their involvement in awareness raising, knowledge sharing and lobbying cannot be overemphasized. We need to coordinate convergence of efforts to avoid duplication and overlaps of civil society work and the Government. As the Ministry, we are keen to share our priority areas of interventions in addressing environment, water and climate challenges so that we ensure sustainable environmental management and build climate resilient communities. What is your position on Carbon Credits? What other low carbon solutions has the Ministry planned? The Ministry is willing to participate in the Clean Development Mechanism which enables us to access the Carbon market. Thus we have made efforts to ratify the Doha Amendment for the extension of the Kyoto Protocol lifespan, to enable full participation and access of the Carbon markets and other clean energy options. We are in the process of reviewing concepts and facilitation of registration of CDM projects in Zimbabwe. The challenge for Zimbabwe to have accredited CDM projects in the past has been attributed to the absence of technical experts in developing and evaluating of projects. Other low carbon solutions that have been planned will be derived from the Zimbabwe’s Nationally Determined Contributions. These include investment in renewable energy, energy efficiency, climate smart agriculture and clean technologies for curing tobacco. The Ministry is also in the process of ratifying the Paris Agreement to ensure that the country benefits from the Market and Non-Market Mechanisms being discussed under the agreement. What are the Ministry’s current and future actions on the implementation of Public Awareness Strategies and Activities recommended in the Climate Response Strategy launched last year? How are these activities reaching small scale and commercial farmers? The Ministry through the Climate Change Management Department participates in national exhibitions such as the Harare Agricultural Show and Zimbabwe International Trade Fair. Climate change dialogues targeting the farmers have been held together with Sectoral and stakeholder targeted workshops. Last year my Ministry held a National Climate Change Conference which brought together stakeholders from all sectors including farmers and the general public. On 29 January, 2016 a targeted meeting was held with commercial farmers. The Ministry will continue to hold stakeholder awareness programmes and we are packaging climate information for dissemination for targeted groups. Electronic and print media has also been used to reach out. The Ministry has a draft communication and education climate change strategy which will enable us to communicate response strategies. Unpacking of the strategy programme is also underway. What measures are being taken by the Ministry to ensure biodiversity is maintained for Zimbabwe’s flora and fauna? Publicity, through our parastatals the Ministry is doing education and awareness campaigns aimed at ensuring that the country’s fauna and flora are protected. The Ministry does anti-poaching activities to avoid wildlife demise. We safeguard wildlife using protected areas networks which include national parks, forestry gazette areas, sanctuaries, conservancies and botanical gardens. We also involve communities in natural resources management in initiatives such as CAMPFIRE. The Ministry also does fire management and is in the process of implementing a National Fire Management Plan for the 2016 fire season. It also prosecutes environmental offenders. “Access and Benefit Sharing”: For organisations wanting to be ABS-compliant, when are we getting a National Authority who can authorise access to natural resources, help develop mutually agreed terms etc.? Who is in charge of such issues at the moment? At the moment the country has no competent national authority. We are guided by Statutory 61 of 2009 on Access and Benefit to genetic resources, which is under EMA and overseen by the Ministry of Environment, Water and Climate. It gives guidelines on how people can access genetic resources in any given area through chiefs and the Rural District Council (RDCs). In terms of developing mutually agreed terms to access and benefit sharing, the one requesting and the one offering services, should agree on a Memorandum of Understanding (MOU). They may need to engage a private Lawyer as the role of the Ministry is to oversee and protect the interest of the locals without direct influence on the MOU. Being ABS compliant depends on what products one wants to come up with, in regards to their market and less to do with the overseeing Ministry. The Ministry only ensures that local communities benefit from the natural resources. In addition, for one to access plants or animals apart from the statutory instrument, we have laws under the Ministry of Agriculture and one needs permit from the National Parks. We use agricultural practices that are destroying the environment, especially the soil and the life in it. How is the Ministry linking environment and production of food? Is there any strategy to that effect? How can civil society support the Ministry to ensure that there is a transition to Agroecology to resuscitate our fast-dying environment? Ministry of Environment, Water and Climate through EMA falls under the Food Security and Nutrition Cluster in terms of the ZimASSET because a healthy environment promotes agricultural production. This reduction of land degradation through erosion, veld fires and the spread of invasive alien species is necessary to keep the land productive in order to support the agriculture sector which is the backbone of our economy underpinning economic growth, food security and poverty eradication. Consolidated projects are encouraged to avoid stream bank cultivation and EMA has supported such 60 consolidated projects. We are also lobbying for climate smart agriculture practices which are environmentally friendly and clean. How will Zimbabweans on the ground benefit from the recent COP21 held in Paris last year? Does the Honourable Minister think that Zimbabwe has the adaptive capacity for the solutions suggested at the conference? 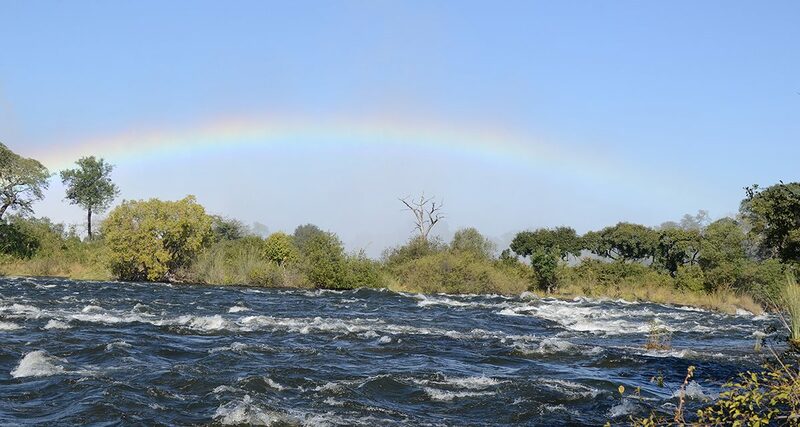 Being part of the agreement will ensure that Zimbabwe is eligible to access resources provided for under the different frameworks and mechanisms for climate change adaptation and mitigation, particularly with reference to the NDCs. It will also ensure that on the ground Zimbabweans’ socio-economic aspirations are incorporated into global decisions by allowing Zimbabwe to participate in the pre-2020 preparatory activities which will define the operational modalities of the Paris agreement. 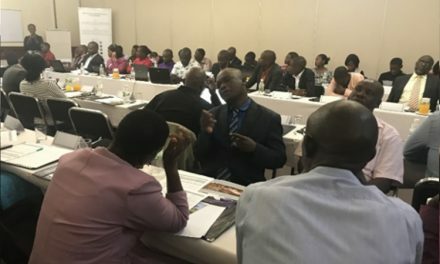 Already a number of mitigation and adaptation projects that include ’Scaling up Climate Change Adaptation in Zimbabwe’ have been developed for submission to the various multilateral funding windows. One of the requirements to unlock the funds is the country being a party to the agreement that has created the fund. Zimbabwe will be better positioned to benefit once it becomes a signatory to the agreement. The current adaptive capacity for Zimbabwe is low, however the provision and mobilisation of climate finance to enhance adaptation in developing country parties shall represent a progression beyond previous efforts from a flow of 100 billion per year which is to be mobilised by developed countries. There is need for Africa to ensure that there is a strong team following climate finance to ensure that the developed countries have a firmed up road map on how they want to reach the US$100billion target. COP22 held in Morocco offers a platform for more global action. Zimbabwe is keen to participate in the two initiatives that were launched as flagship programmes for Africa. Zimbabwe is strategically positioning itself to participate in the Africa Renewable Energy Initiative and Africa Adaptation Initiative. What is the Ministry currently doing to educate the young children, who are the future of Zimbabwe, on environmental protection and climate change? The Ministry has held climate change debates across the nation to enhance climate change appreciation among the children as well as educate them. Children are being invited to participate and present at national workshops and conferences on climate change so that they keep abreast with the most current information on climate change. For example the climate policy consultation workshops, the Post Cop21 workshops and the National Climate Change Conference, Children’s participation in such initiatives is in a way educating them about climate change. The ministry also works in collaboration with other ministries and organizations like UNICEF which help disseminate the climate change dialogue to the children. Publishing climate information in child friendly packages, e.g. the book on Children’s thoughts on Climate Change which the Ministry together with the French Embassy published and the ‘Children and Climate Change in Zimbabwe’ done by UNICEF. The Ministry through EMA runs a “Catch Them Young Programme” focusing on schools. We support competitions through the school clubs, schools debates and school environmental projects. What is the Ministry’s position on recycling our waste? Are there any immediate plans to introduce recycling at household level and construction of recycling plants? Recycling of waste is the way to go as we follow the waste management hierarchy. It assists us in ensuring that communities are clean and at the same time deriving cash from waste. There are recycling companies in the country and at the moment are too centralized in Harare. As a Ministry through EMA, we are working on a comprehensive waste management master plan which will also see how such initiatives could be made viable for the good of the environment.